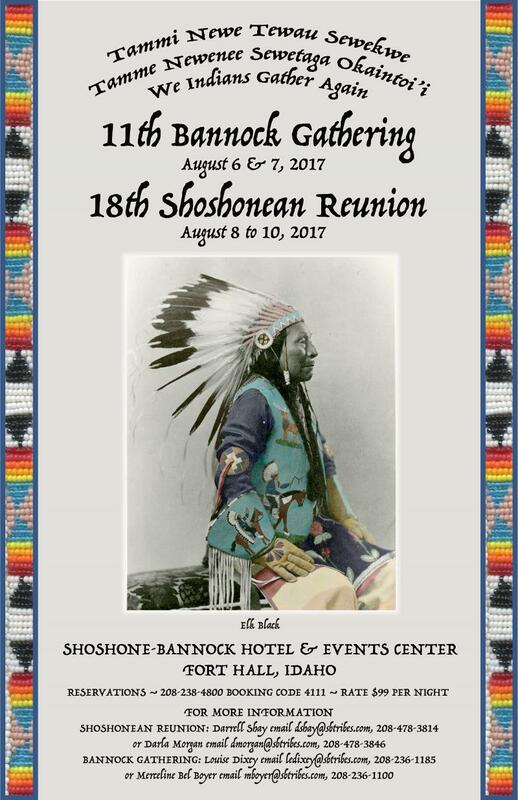 The Shoshonean-Numic Language Reunion XVII has been scheduled for August 2017. It will be hosted by the Shoshone-Bannock Tribe in Idaho. For more information contact Darrell Shay at dshay@sbtribes.com or (208)478-3814.